The need to move from fossil fueled vehicles to more eco-friendly vehicles has long been apparent. Eco-friendliness has, however, also been synonymous with decreased performance. 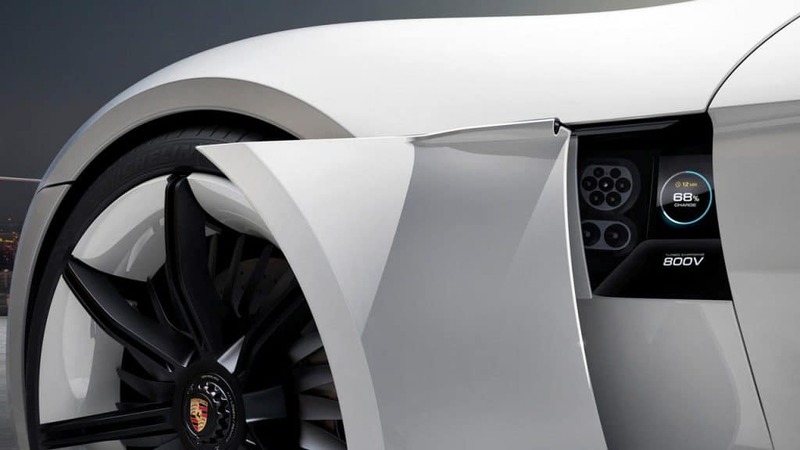 This is something which Porsche, with its Porsche Mission E seeks to address. Porsche Mission E is what Porsche says represents the future. 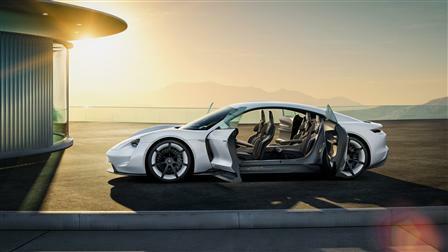 The concept shows what Porsche’s first solely electronic sports car could look like in the future. It is an eco-friendly, electric sports car which is able to cover over 300 miles without any gasoline. The car is a state of the art sedan which does not compromise on quality. Porsche has stated that despite its eco-friendly nature, it still meets every (lofty) standard set out by Porsche in terms of performance, fuel efficiency, driving dynamics and everyday practicality. In other words, it is like the 911 of e cars. Mission E is undeniably a sports car. It boasts a completely new power train comprised of two permanent magnet synchronous motors(PSMs). Although completely new, the technology, as with all Porsches, is tested in motorsport and refined for everyday use. The PSMs are similar to the 919 hybrid that won Le Mans which propels the car but also recovers energy when braking. Each power a different axle and produce a combined output of over 600 horsepower. All of this sophisticated technology means that the Mission E can rocket from 0 to 60 miles per hour in under 3.5 seconds or in other words, very, very quickly. 125 miles per hour is reached in less than 12 seconds and it will continue all the way past 155 miles per hour. These numbers are staggering and go a long way to reinforcing Porsche’s claims that performance will not be compromised as it moves into the e car market. Does It Still Feel Like a Porsche? One of the most important things about driving a Porsche is the pleasure it gives you when driving it. It loves endlessly winding roads and difficult corners. The Porsche Mission E concept does not betray its heritage in this sense. Its excellent weight distribution and low center of gravity is what enables it to achieve this quintessential Porsche feeling. The even weight distribution combined with the all-wheel drive system and Porsche Torque vectoring assists in transferring power to the road meaning that the Mission E handles even better than the much revered 911 GT 3 and 911 Turbo models. The cornering is said to be extremely responsive and precise. This stunning cornering ability combined with the awesome power has lead experts to believe that it will, amazingly, complete a lap of the Nordschleife in under 8 minutes. In short, it will feel exactly like a Porsche should. One of the major concerns when it comes to electric cars is always practicality. If the charge time is too long, a car becomes impractical when used in the real world. Porsche has noted this and has therefore taken steps to mitigate this. These major step Porsche has taken is to double the standard charging voltage from 400 to 800-volts. This is great news for the practicality as it means that there will not only be shorter charging time but also less weight because the power can now be transferred via copper wires which are much thinner than in the past. The car is powered by a lithium-ion battery which (because of its size) enables the car to drive more than 300 miles on a single charge. This battery coupled with the 800-charging voltage means the car can drive for another 250 miles after just 15 minutes of charge. Plans are in place to install 800-volt (or “turbo charging”) technology along German freeways but the car can also be charged with conventional 400-volt technology. Furthermore, it can be charged inductively if a coil is installed in the garage floor. In other words, the Porsche Mission E will be very practical as well as efficient. The Mission E is therefore a practical, eco-friendly sports car which still feels very Porsche like. It is an exciting development in the world of sports cars and American fans can look forward to its release in 2020 when it will set them back a cool $75,000.